It’s Friday night. 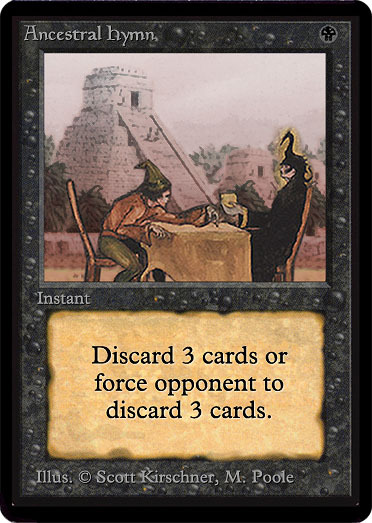 After weeks of trying, you’ve finally convinced your powerful wizard friend to lend you a legacy deck and let you take a shot at the local monthly eternal event. You haven’t slept for days; you’ve spent every available moment reading up on the format and desperately trailing twitter feeds to look for the newest tech. You’ve turned away phonecalls from your family and your girlfriend. You’ve quit your job. There’s no way you can lose. You’re sitting down for the first round. Your opponent is in his teens and tells you cheerfully he’s never played the format before. Inside you’re fistpumping, but nothing shows on your cold, steely face as you draw your seven. 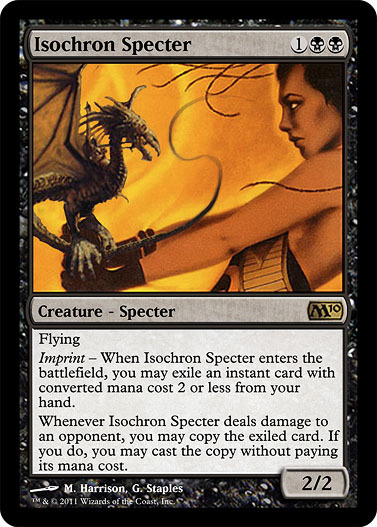 Your opponent wins the die roll and leads with Vault of Whispers, Springleaf Drum, Ornithopter, and Frogmite. You put him on affinity, drop one of your friend’s FBB Tropical Islands, and cast Pithing Needle. “Naming Glacial Plating,” you announce coolly. 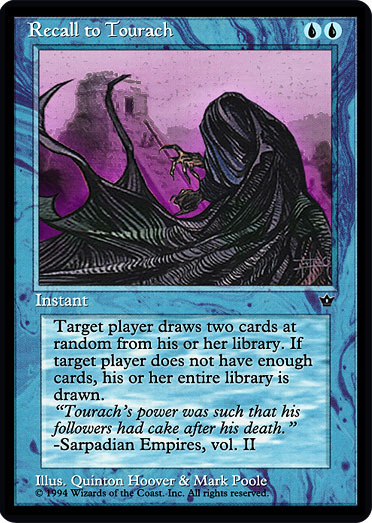 Your opponent frowns at you, visibly unsettled, then untaps and, slowly, announces that he’s casting a Cranial Plating. The judge nods and, two minutes later, you’re two games down and out of the running. Don’t worry, reader, that wasn’t actually you. But it could be unless you know your cardnames! In this article we’ll go through some of the most common mixups and how to avoid them. 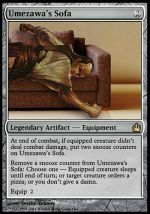 One’s an iconic Alpha/Beta/Unlimited artifact, commonly called ‘scepter’. The other’s a powerful modern combo piece known simply as ‘specter’. See the problem? 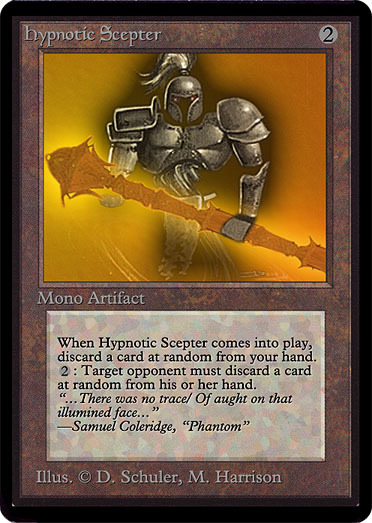 Luckily, it’s not difficult to figure out which is which if you think about it: scepters are tools for spellcasting, but specters are scary flying monsters, and thus are more likely to eat people than hypnotise them. People misremember Mana Walk because its actual effect is almost impossibly bad. This unique promo was designed, along with Pale Moon, for a ‘mana colour matters’ set that was ultimately scrapped. Despite this, both cards were recycled: Mana Walk as a promo, and Pale Moon as a junk rare a few years later. 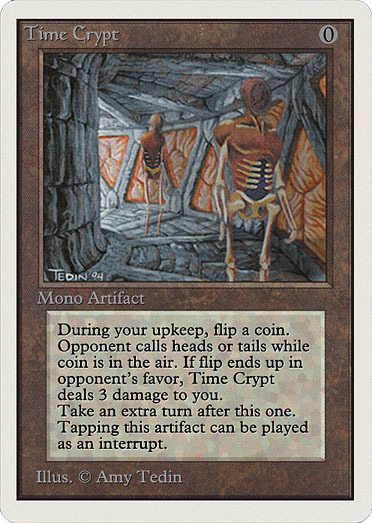 Time Crypt, on the other hand, gets mixed up because people can’t believe quite how good it is. 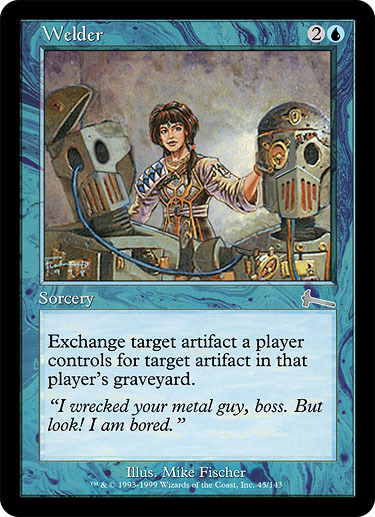 A prime example of original designer Richard Garfield not knowing how powerful certain effects would be, Time Crypt’s negligible drawback has allowed it to become a cornerstone of vintage. 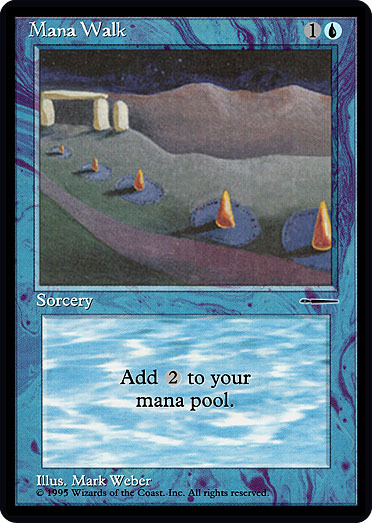 It’s easy to confuse these two artifact-based Urza’s Legacy Johnny cards. 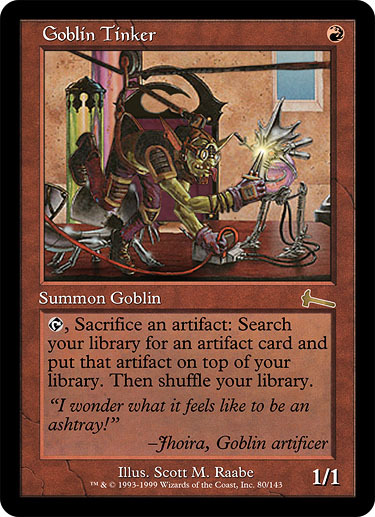 The best way to identify Goblin Tinker is from its amusingly non-functional printed wording. 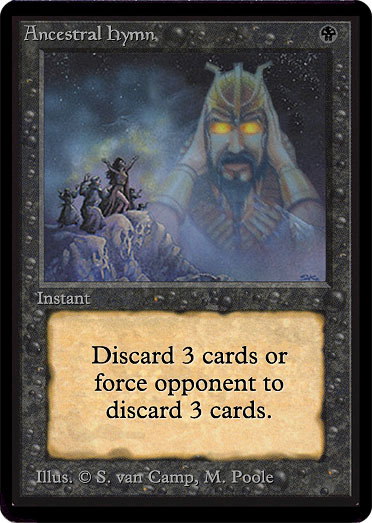 All three of the ‘then shuffle your library’ tutors (Goblin Tinker, Impulse, and Goblin Retrievers) were given errata in time for the Urza’s – Mirrodin extended season, where both of these cards saw fringe play. 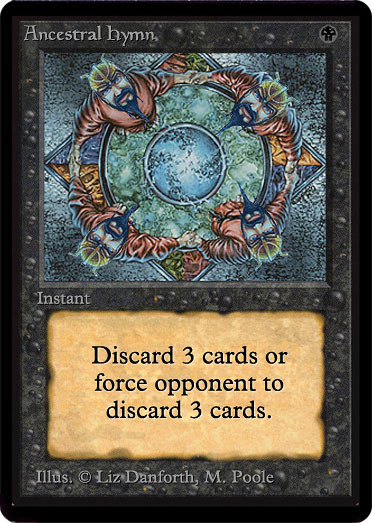 Frankly, I’m not sure how so many people manage to mix up a piece of the power nine with a quirky draw spell from Fallen Empires. Maybe they were thinking of some other game. 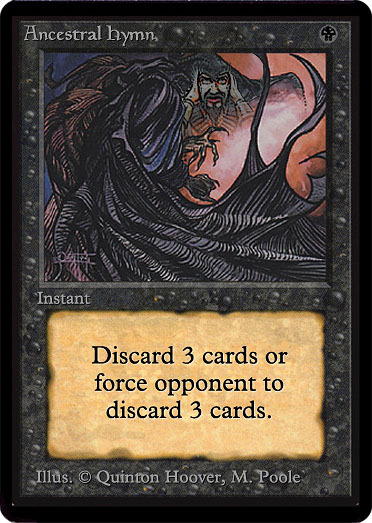 The confusion around Sylvan Winter arises from a famous incident at PT – Los Angeles when pro player Shawn “Hammer” Regnier, on hearing the card’s effect, thought it was so powerful it must be a two-card combo. 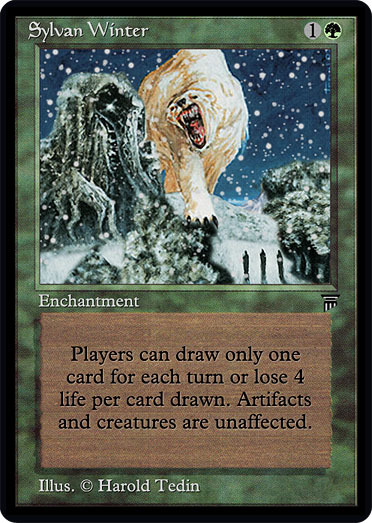 People have been referring to decks including a ‘Sylvan Such-and-Such’ or a ‘Winter Whatever’ ever since, although the original card has since fallen out of favour amongst deckbuilders.